So good, so tender, so full of flavor! 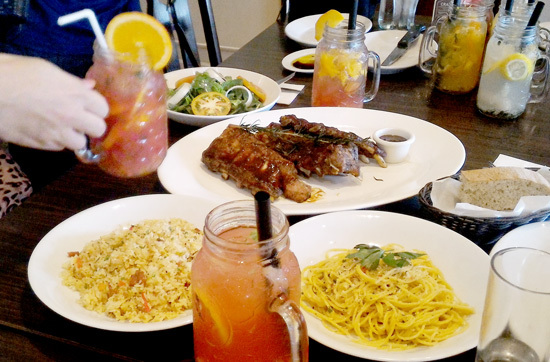 That's how I put 'The Ultimate Ribs', Italianni's newest platter offering. Each rib platter comes with 1 to 1.4 kilos of Baby back Ribs grilled to mouth-watering perfection. Rightly cut from high grade Italianni's ribs marinated in select spices and fresh ingredients that complements and brings out the flavor every meat lover would surely enjoy. The little hints of sweetness, tartness and hotness made this dish capture that whole new flavor adventure waiting to be experienced. 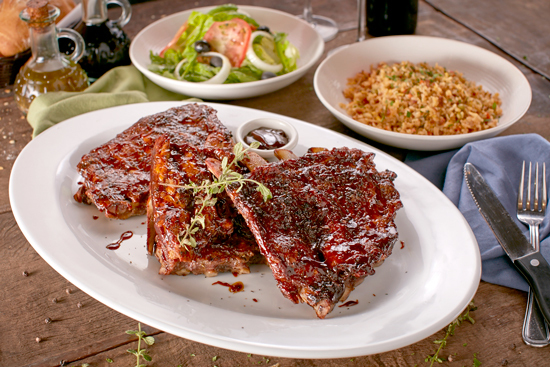 The Ultimate Ribs Platter comes with the side dishes of your choice for only P145. Choices can be Italian Fried Rice or Spaghetti Aglio Olio for a filling meal, Insalata Rucola or the House Salad for a lighter pair. Whatever side dish you desire, each platter assures a very satisfying meal. This shareable platter is priced at P995 and is available in all Italianni's branches except Boracay. Watermelon Cranberry - a bracing combo of cranberry juice, cucumber and muddled watermelon. Cucumber Cranberry - a refreshing mix of cranberry juice, cucumber and lime juice. Mango Cranberry - Jumbled ripe mango with cranberry juice. Orange Cranberry - a refreshing mix of cranberry juice, orange and mint leaves. Peach Mango Lemonade and Orange Lemonade are two refreshing tropical flavors with minty and sweet hints. Ginger Lychee Lemonade is an energizing drink with a surprising sparkle of ginger and lychee. Fresh Oregano Lemonade - is a cool, healthy and soothing aromatic drink blend of fresh oregano and lemon. 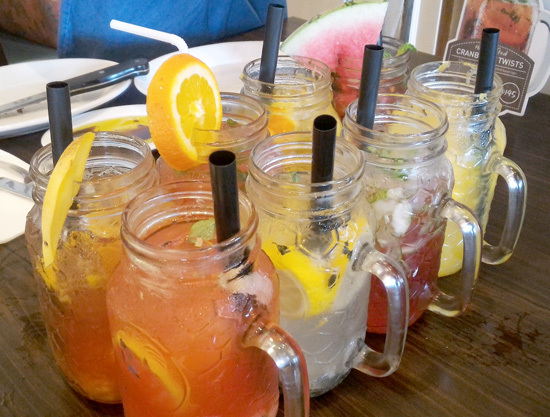 Whatever drink twist you desire, it'll sure enliven you up! Each is served in a mason mug at P145. So if you're on a look out for new signature dishes to try out this summer, Italianni's is the place to be. Thank you very much Italianni's for having us, we enjoyed the food so much! 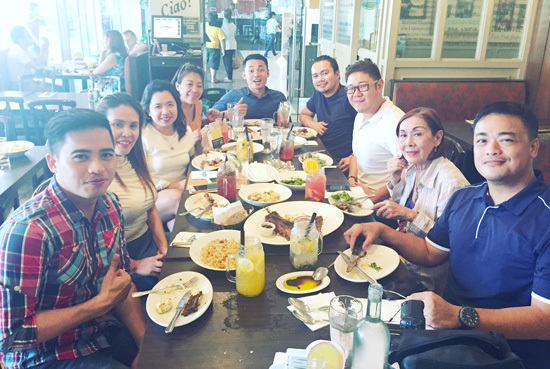 The Bistro Group Marketing Officer Ronald Mejos, Blogger and media friends.